Over on Dungeons Master, Wimwick has a now-complete two part article on The Future of D&D. He starts out by rating core elements of 4E D&D as being a success or failure. Unlike some of the people in his comment section, he does so without the drama of hating on Essentials or comparing the game to an MMO. After reading his articles it got me to thinking. How do I think the current direction of 4E will influence the development of 5E as well as what would I want to see in a new ruleset. Or conversely, what would I want them to change and/or learn from what they’ve done in 4E? Having had a lot of fun with every edition of D&D I’ve tried, this is no easy question to answer. However, I have a few ideas that would make D&D even better for me and my table. Hopefully, I can discuss these ideas without breaking the game for anyone else. Let’s give it a shot, shall we? If you’ve read the article linked in the first paragraph, you’ll know that Wimwick focused on several core elements of modern 4E. I’d like to use those same elements (plus a few of my own) to make my comments and comparisons. Wimwick considers this a success and from a practical standpoint, so do I. The classes they introduced and/or tweaked are worthy of inclusion in the core rules. The form factor and price points of the books are a welcome change at the tables I’ve played/DM’d at. Yes, some classes are a bit redundant based on the existence of the PHB core classes but if you take WotC at their word, that this is a new on-ramp to D&D, I think it was a good idea. It made the game both more newbie friendly and more affordable all at once. 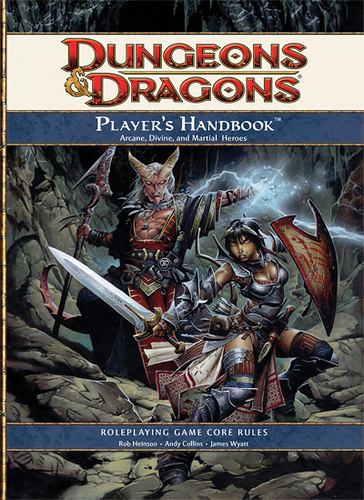 Having said that, I use the qualifier “from a practical standpoint” because I recognize that the introductions of some new classes that were not designed with the exact same power progression as PHB1 classes has some 4E traditionalists up in arms. Never mind the fact that “4E traditionalist” is a bit of an oxymoron. I never felt like the subtle deviations from the 4E PHB power progressions that we found in the PHB2 were problematic, nor did I find a problem with the more drastic deviations found in PHB3 (no matter what anyone says, I found Psionic power points to be a deviation from standard AEDU progression equal to that of Essentials, in some cases moreso). I’ve always felt the AEDU model was merely a baseline and that once we fully understood it’s potential, variation and exploration would almost demand that we experiment with it. PHB2, PHB3 and Essentials have been consistent with this philosophy. Ultimately, I hope this informs the design of 5E. I like the Legends & Lore column Mike Mearls has been writing. I like the concept of modularity and I think it reflects the lessons learned from 4E. I hope it is taken to its logical conclusion in 5E. I’ll speak more about this in the Character Classes section. Again, Wimwick finds a success and I’ll agree here with another caveat. I really like 4E tactical combat, however, I don’t like that it is essentially mandated by the ruleset. I would like tactical combat to be a “type” of play that is possible with 4E rather than one that is mandated. What do I mean by mandated? I mean that tactical play, with minis and grid maps is not only core, but also required. It’s incredibly difficult to resolve 4E combat with “theater of the mind” style sessions. With powers and terms like “Reach 2”, “Close Blast 3”, “Push vs Pull vs Slide x # of squares” its complicated beyond the doing and almost impossible to maintain balance since so many powers with grid based riders can effect what a class is capable of. Wimwick rates this as a success but his reasoning feels more like a statement of “I like minis and I’m glad they’re coming back” more than any kind of a judgement of WotCs implementation of them as a product line. I would call Minis a quasi failure for the most part. Sure, they’re nice to have at the table but I’ll diverge from Wimwick by saying that they’re not “invaluable” at the table. They’re a nicety IMO, nothing more. We use more tokens than minis and personally, I prefer tokens. They work better, are more affordable, and offer more utility and variety. The balance I’ve enjoyed the most is using minis for the PCs and tokens for the monsters. I would say the greatest success of WotC with regard to minis is their transition to tokens as the mainstay monster representative. From the inclusion with monster books to the handy bloodied side, tokens are doing things that Minis simply can’t. This one goes without saying. 4E’s strict adherence to a “crunch first and story later” mentality was a massive disappointment. Thankfully, they’re working hard to unmake this disastrous first impression. I definitely think any future editions of the game will have this one right from day one. I’ll agree wholeheartedly with Wimwick here. Race/Class bloat is very unfortunate in this latest iteration of D&D. Don’t get me wrong, I love options as much as the next guy. But when you have an unsustainable, unsupportably large amount of options, it’s just too much. I’d rather have a smaller core group of races and classes that get continued support than a batch of options that are left on the vine to wither and die. I suppose it’s possible that they were simply failed experiments and that the classes/races that receive little to no support would have gotten it had they found a more vocal audience. As it is, I don’t see alot of people on the boards shouting the praises of Wilden or Shardminds. I’ve personally played both in an effort to experiment but I’ve never seen another played at one of my tables. Another success in Wimwicks book. I’ll have to agree partially on this one. I love the concept of Role in D&D however, until Essentials fixed things, I was a little disappointed by the religious adherence to it as a design philosophy. I like that adding Role to the game as a core mechanic expands and assists our vocabulary when it comes to making characters. What I don’t like is that a character class gets “stuck” in a role. Defining a role for a class is great but also puts that class in a very small box. What I would prefer to see is that Role be a designator of power type, rather than class type. So if you wanted to build a controller, you would pick controller powers. Imagine if a power was designated as Martial Encounter 1 or Primal Daily 5 and you could pick those powers if you were of that power type. Further, powers would be designated as Control/Strike/Lead/Defend so you’d know what you’re getting and tailor your build exactly as you see fit. Otherwise, even with the inclusion of literally thousands of class powers and options, we’re still very much limited to what the designers envisioned for each class or build. Previously if you wanted a Ranger to be a controller, you were mostly out of luck until they decided that was a good idea and introduced a new build in the Heroes of the Forgotten Kingdoms. But in my world, this class build would never even have to be designed. Simply let us do the design work for you. All WotC would need to do is create a balanced pool of Role influenced powers based on Power Source. This one is a bit harder to analyze. I think it will depend on what store you go to. I’ve seen some stores with Encounters and it’s great, while others were tumbleweeds. I hope it’s successful for WotC in the aggregate so they keep doing it. Whenever I’ve seen it, people seemed to be enjoying it. I’ll definitely agree here. I’ve not been thrilled with the 4E implementation of Magic items. They seems like just more powers to me, adding increased complexity to combat resolution while offering little new. Gone it seems are the days of really interesting and unique magic items. To their credit they’ve eliminated at least SOME of the old editions problematic items, those items that pretty much everyone had because they were a must. Item variety is pretty useful in 4th edition if nothing else. So, looking at all this, where is the game headed? I definitely think WotC will scale back the options. I think they recognize that the rate they were doling out classes, powers, feats, races, etc was unsustainable. Looking at my 4E bookshelf, there must be at least 30 hard bound books. Most of which would be considered “core”. Considering the edition is barely 3 years old, that’s simply insane. I can’t even imagine creating a character using all those books withOUT the assistance of the character builder. I realize that everything is going digital and an online character builder is absolutely mandatory, but to design a game that requires it seems a bit offputting to me. Hopefully in future editions, character creation will be less taxing as the edition ages. So, what do you think. Where is D&D going? Are you excited for change? Or hesitant? As long as I have drow and warlocks. It would be nice for simpler rules, as I am new.